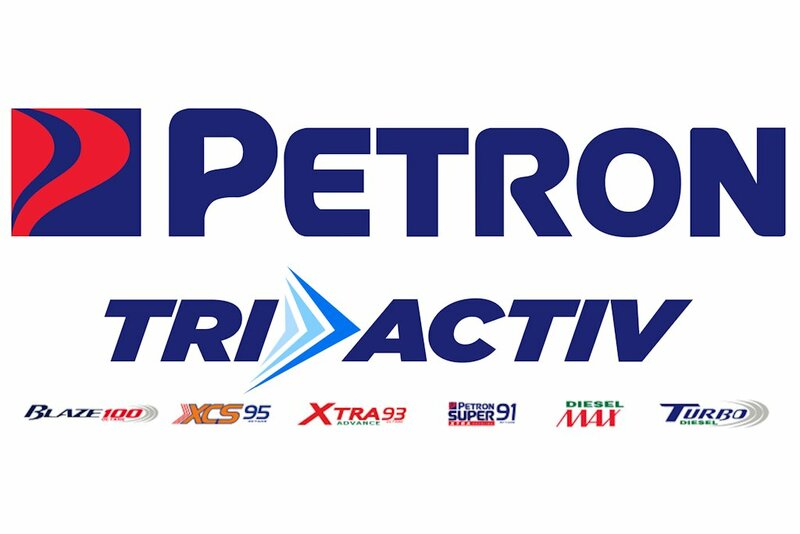 Industry leader Petron Corporation continues to blaze new trails in fuels technology with its Tri-Activ gasoline and diesel products. Petron’s Tri-Activ fuels have advanced additives uniquely formulated to meet Philippine driving conditions and cater to the needs of Filipino motorists. Unlike other fuels that only claim one or two benefits, Petron Euro-4 fuels deliver Tri-Activ performance benefits, namely: (1) better engine protection for longer engine life; (2) better mileage for longer drives; and (3) better power. Thus, in addition to cleaner engine and cleaner emissions, motorists can enjoy more savings on maintenance and fuel consumption. Petron’s full line up of Euro-4 Tri-Activ fuels include Petron Blaze (100 RON) – the first and only premium plus gasoline with an octane rating of 100, Petron XCS (95 RON), Petron Xtra Advance (93 RON), Petron Super Gasoline (91 RON), Petron Turbo Diesel, and Petron Diesel Max. These are available at 2,200 Petron service stations nationwide. Petron made headlines in June 2015 when it became the first oil company to locally produce a full line-up of gasoline variants that meet Euro-4 standards, six months ahead of the government mandate to make available Euro-4 fuels by January this year. Motorists also welcomed the Company’s move to introduce Euro-4 standard diesel in October. As of January 1, 2016, all fuels sold in the Philippines are required to meet the Philippine Euro-4 standard that sets the allowable sulfur content for gasoline and diesel fuels at 50-parts per million (ppm). With this Clean Air initiative, local fuels are expected to be 10-times cleaner than the previous Euro-2 fuels which had up to 500-ppm sulfur content. Petron Euro-4 Tri-Activ fuels are significantly more environment-friendly. They keep your engine clean and efficient because they have lesser tendencies to form carbon deposits that can clog injectors. Even vehicles with Euro-2 engines can benefit from Petron’s Euro-4 Tri-Activ fuels, which with their advanced detergent, combustion improver, and friction modifier additives. With these performance benefits, all vehicle types can contribute to a cleaner environment. At the same time, vehicle owners will definitely appreciate savings from improved mileage and lower maintenance costs. Petron invested US$2-billion to upgrade its Bataan Refinery and ensure the reliable production of more environment-friendly and premium fuels. It also operates a fuel additives blending plant in Subic Bay, in partnership with leading global fuel specialties company Innospec. With these capabilities, Petron is able to produce six Euro -4 fuel variants—the most extensive in the local oil industry—that meet the unique needs of motorists. Which is better? Techron? or Tri-Activ? techron is a fuel cleaner you can also buy and put in your car anytime triactive is not the same it has a cleaner now yes but very little cleaning attributes if any.on my last service I still had my engine decarbonated, it didnt clean much if any at all.